The combination of V-12 warbird and dual controls usually means a Spitfire Tr.IX or a TF-51D Mustang, both at obscenely high prices. This aircraft offers that same capability for far less money! In fact, you can be flying this Allison powered machine for around a quarter the price of those other two. Call now! One of the best known and most admired P-40s in existence, this time-capsule fighter is one of the most comprehensively period-equipped original WW-II aircraft to be found anywhere in the world. 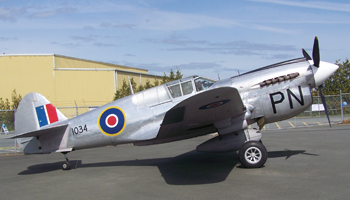 Maintained in lovely condition, with periodic engine runs, the aircraft was fully described in the feature article in Classic Wings magazine Issue #90, Aug. 2013. 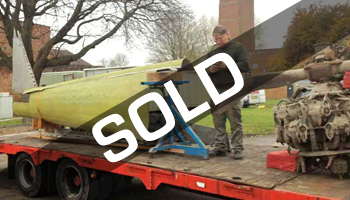 Substantial project aircraft includes fuselage an tail group in very good restorable condition, plus engine and wings etc. Most items there, and many items duplicated. Call for further details. 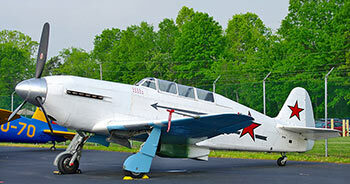 This Bf109 was one of several wrecks recovered from Russia together during the early 1990s. All three were sent to the USA, then to Canada, and on to Australia. One was then sold to Germany, another subsequently returned to the USA about a decade ago, and then moved on to Europe, however this machine has remained stored in Australia all these years. Advanced project, very complete, straight and needing to be finished. One wing rebuilt, the second in original condition. 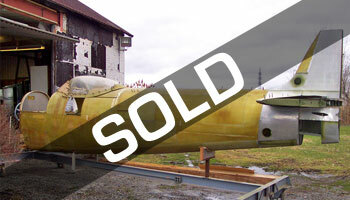 Fuselage re-riveted, tail surfaces likewise. 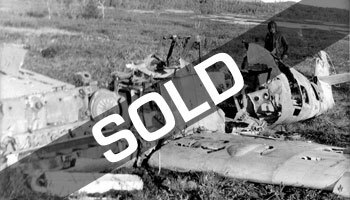 Since these are so rarely available, this is likely one of the last largely intact Spitfires you'll ever see advertised and unlikely to be available for very long at all. Get in touch for further details but serious inquiries only please! Easily the best priced V-12 WW-II fighter available in the world today. 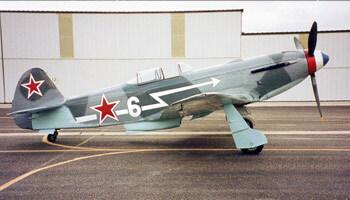 Rebuilt using a Yak-11 wing with a new-build Yak-3 fuselage. Completed to be light and as simple as possible, it is powered by an Allison V-1710-111 with a Ham Std. propeller to provide the lowest maintenance engine/prop combination for a V-12 fighter. Airframe/engine/prop, less than 50 hours since overhaul. One owner, last 19 years, always hangared.